Who's ready to go dog sledding? During 10 days in February, a select 18 cadets from across Central Region will travel to Borden, ON to begin the 2013 Northern Extreme Regional Expedition. One of the lucky cadets who got a chance to particapate in this amazing expedition was our very own MWO Bychok. This expedition will see the cadets complete 2 days of pre expedition training. 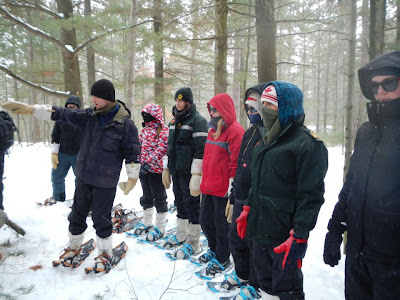 Learning about cold weather camping, snowshoe techniques, winter navigation, and dog sledding. 4 days of dog sledding across various terrain, and 1.5 days of snowshoeing. To cover a grand total of 130km.